Hi Guys! And Gals! I have a very, very, veryyyyyy exciting blog post for you guys this week! Some of my absolute FAVORITE products are on sale and JUST in time for you early holiday shoppers. As you've probably heard me say before, Neal's Yard Remedies is my all time fave....and no I'm not just saying that. NYR is a very trusted brand and one that is rated 100% in ethics. It is the only company to have received this high of a rating. Not only are they fair trade, fair wild, made safe, natural, safe, ethical, but they are also just an amazing wholesome company. They truly care about their customers and the products that they make for us. Nothing is tested on animals and everything is made in small batches and perfected before being packaged in the most beautiful blue bottles. Take a look at the magic for your self by scrolling down and checking out their amazing holiday collection. Everything I have listed below is 20% off and this sale only lasts until NOV. 25th so don't miss out. I won't keep you for long this time because I know you can't wait to start spreading the blue bottle love! So, I'll Catch ya next time! This amazing set will brighten your winter days wherever you are! This is a beautifully fragrant, refreshing collection of four travel size shower gels. 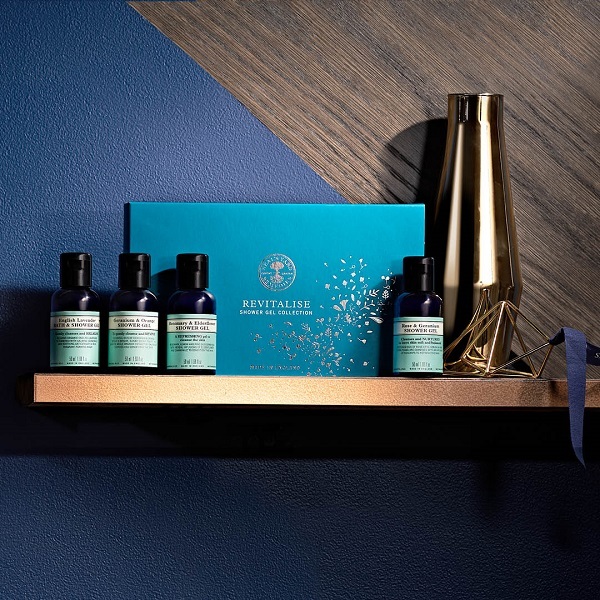 From organic geranium handpicked in the DR Congo, to organic English lavender from the rolling fields of Hampshire, England - These products are crafted with the finest essential oils. 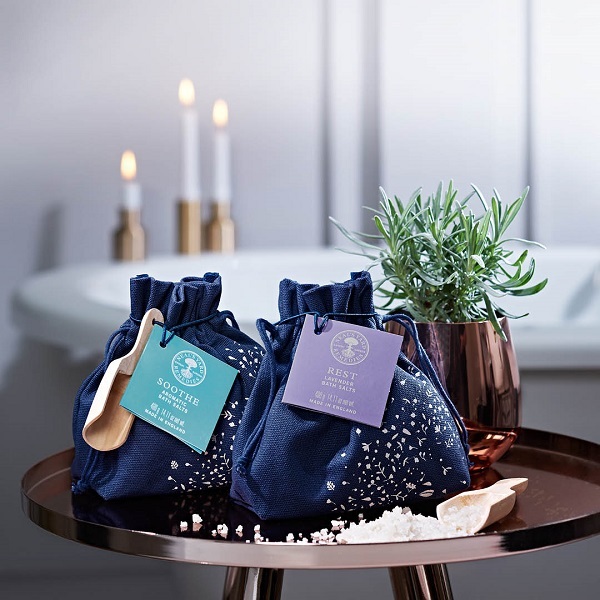 For this winter season, with the promise of magical evenings and wintry adventures, you want to look and feel your very best – so you’ll need your beauty sleep. Feel refreshed and wake up beautiful with these expertly crafted, restful creations. 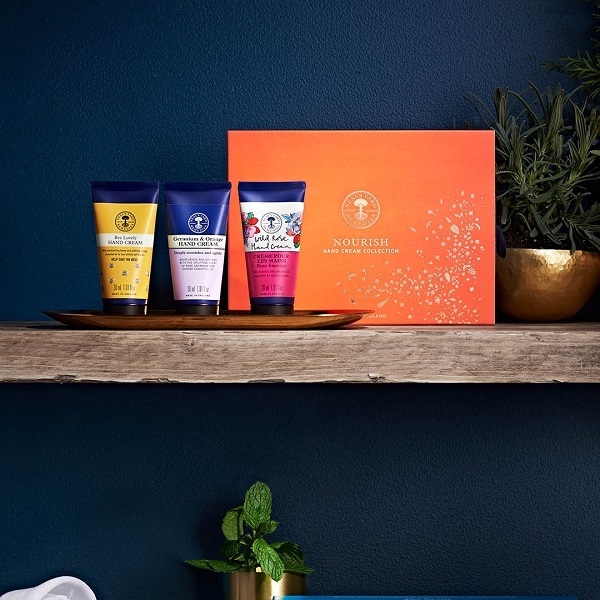 From organic moisturizing honey to balancing geranium and uplifting, festive orange essential oils, this trio of naturally nourishing hand creams is the perfect gift for hardworking hands. The men’s range is packed full of organic herbs, botanical extracts and energizing essential oils to protect, soothe and revitalize. 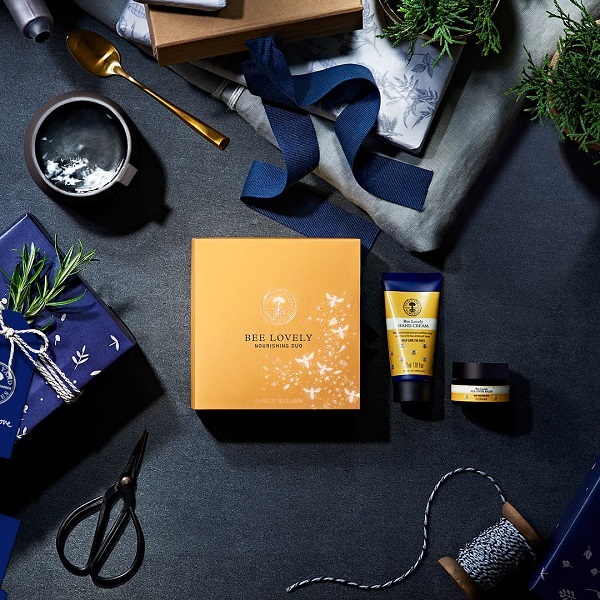 Whether it’s for your husband, father or brother, these gorgeous gifts help to maintain a well-groomed appearance. A gentle lullaby for the senses, this bed time concentrate and body butter are created with a calming blend of ylang ylang, patchouli and cypress essential oils for the perfect pre-sleep prep. The pillow mist has relaxing botanicals to help you curl up peacefully and wake up beautiful. Ideal for the friend who loves her beauty sleep. Look the picture of health even in the depths of winter with the potent, radiance-boosting properties of wild rose – and be the natural belle of the ball wherever you ar. Clinically proven to reduce the appearance of fine lines and wrinkles, this award-winning Frankincense Intense™ collection is ideal for skin beginning to show the first signs of aging. The Kenyan frankincense we use is wild harvested by the women of the Samburu tribe, who receive a much-needed income and an additional 10% social premium to support their children’s education – the perfect gift for the consciously beautiful.